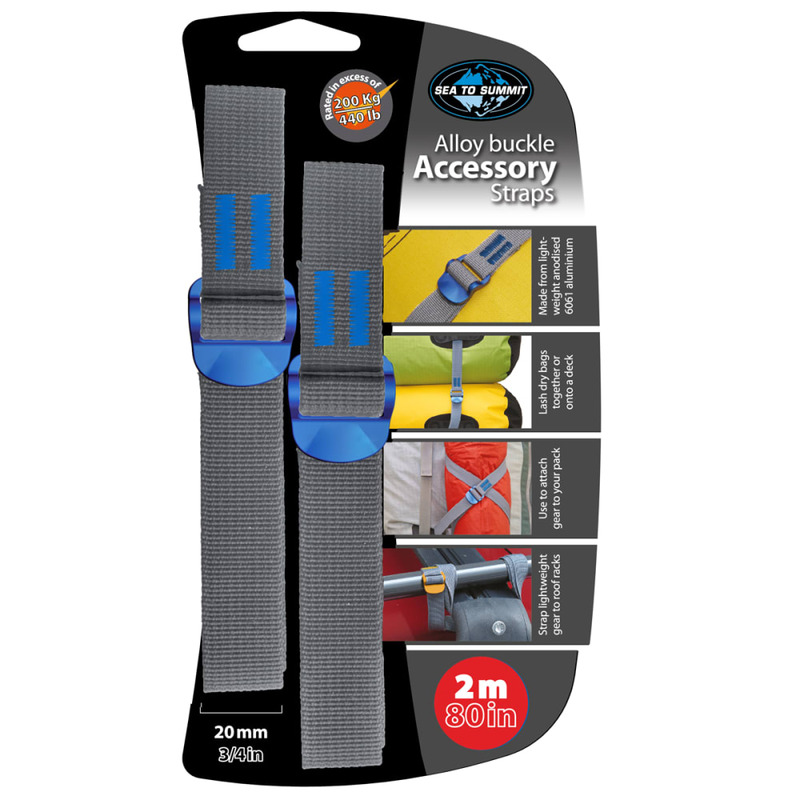 Perhaps the most versatile piece of equipment you can carry, the Sea to Summit Accessory straps hold on, cinch down, and keep everything together.? ?Anodized aluminum buckle is virtually unbreakable while still keeping the weight down.? ?Perfect for lashing gear onto your pack.? ?Use it to lash bags together or onto your deck.? ?